Ensuring data integrity by limiting date entry errors in a Microsoft® Excel® worksheet can easily be achieved by adding a calendar drop down list. So, instead of entering dates manually, you can select them from the list. 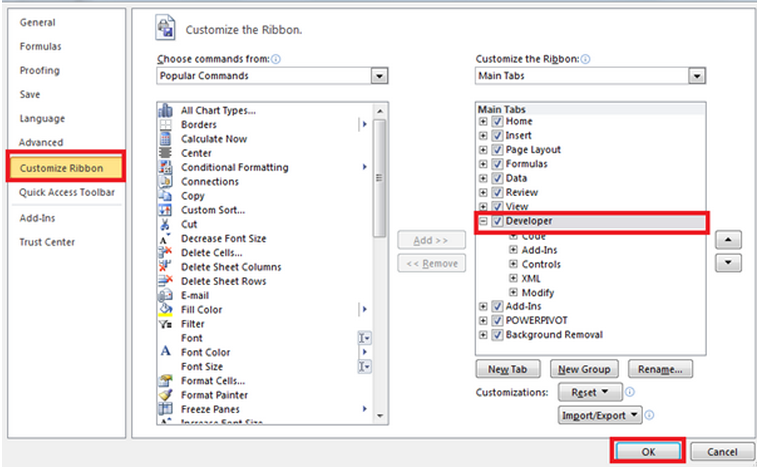 In ten simple steps, we show you how you can add a calendar drop down list using only control buttons and no VBA code. The screen shot below will be used for this example. 1. Activate the developer tab. Tick the Developer box and select OK as per the screen shot below. The Developer tab will now appear on the ribbon. 2. Select the Developer tab. 3. Select Insert. 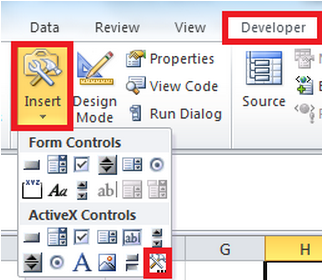 A drop down list with icons for Form Controls and ActiveX Controls will appear. 4. Select the icon on the bottom right hand corner under the ActiveX Controls. 7. Your cursor will turn into a cross hair. Click and hold, draw a rectangle in cell C3. 8. 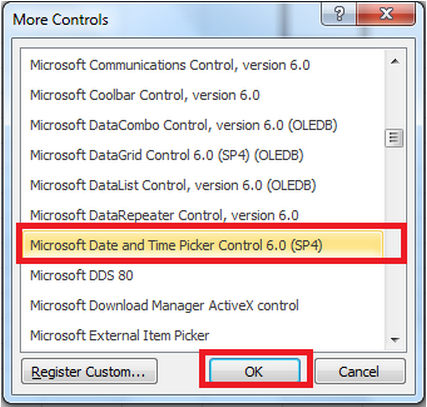 Right-click on the Date Control and select Properties. 9. 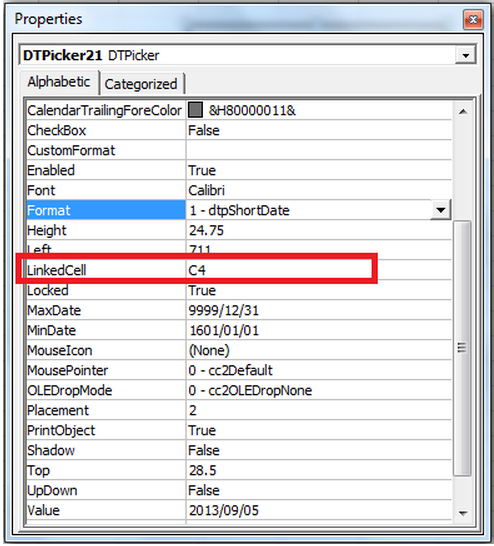 Then type the cell where the date will be displayed next to linked cell as below. Ignore any error that you might get by clicking OK on the error message dialog box. Select Design Mode to turn it off as per the screen shot below. 10. When you select the date from the drop down menu the date in cell C4 will change. Wow, you are really good at Excel now! For more Sage 300 and Excel Tips, subscibe to the Equation Technologies Blog!